Home Regulations The banking system is a fraud! It seems obvious for most of us, but it is worth repeating again and again: current financial system is terrible and cryptocurrencies can grant us with the financial freedom. This is their main point and the main reason for them to exist. This short explanation of our current situation should be shared with as many people as possible. You work for long four weeks – until your bones start to ache from fatigue. You spend sleepless nights on your projects or tasks so that you are already unwell. For what? In order to get the long-awaited salary. However, the sad truth is that not you, but your bank received your salary. We are always dependent on banks and on the money we earn, although it should be the other way around – banks should depend on us, and not us on them because of the money they distribute. Let’s reveal some facts about the banking system, which clearly indicate that the entire banking system is one big and complete fraud. All banks from the very beginning were in decline, and these are not the consequences of a natural disaster or a tsunami. In the end, these are organizations that do not have their own money – any assets that they have are provided by their clients. Although they earn small interest on customers’ money, in fact, this is not enough for them to distribute large amounts of money, for example, $1 million, which can be distributed to 100 people at the same time in the form of loans of $10,000. So where does the money come from? Here we will talk about it, and we will talk about institutions that are, in fact, moneyless. Now the biggest fraud in which the banks are involved is in offering more money than they actually have. This fraudulent practice is now completely in the order of things called the “partly reserved banking service”. As we said earlier, banks have only limited money supply. All that they really could offer is the money that you and I put into them. And therefore, when people go to banks for a big loan, they are ready to give your money as their own. The sad fact is that banks actually offer your money to other people, and in fact, loans are not even half secured by money. Let’s see how banks create counterfeit money in the economy. Suppose you deposited $1,000 in a bank; the bank retains 10% of them ($ 100) as a cash reserve and uses the remaining $ 900 as its own. Now the bank allegedly has your money – $1000 (it owes them, of course, to you), and $900 – as if it were its own. Thus, the total amount of money, as if, increased to $1,900. Now, let’s suppose, you want to immediately return your $1000. This is what the bank does: in the same way as you, other people contributed money to the bank; they take the money of these people and give it to you as “your” funds. This is such a rather simple and empty scheme that repeats endlessly. Every time the money supply in an economy decreases, banks apply deficit financing, launching the printing press, while the actual amount of goods and services in the economy does not change. Therefore, even when we pay $200 instead of $100, we cannot double our grocery cart, because the production volume has not increased – just the products have become twice as expensive, and the money is printed twice as much. The real recovery of the economy occurs when the overall production volume increases, and not the total amount of money circulating in the market. This is exactly how the US Dollar lost 99% of it’s initial value in the last 100 years. 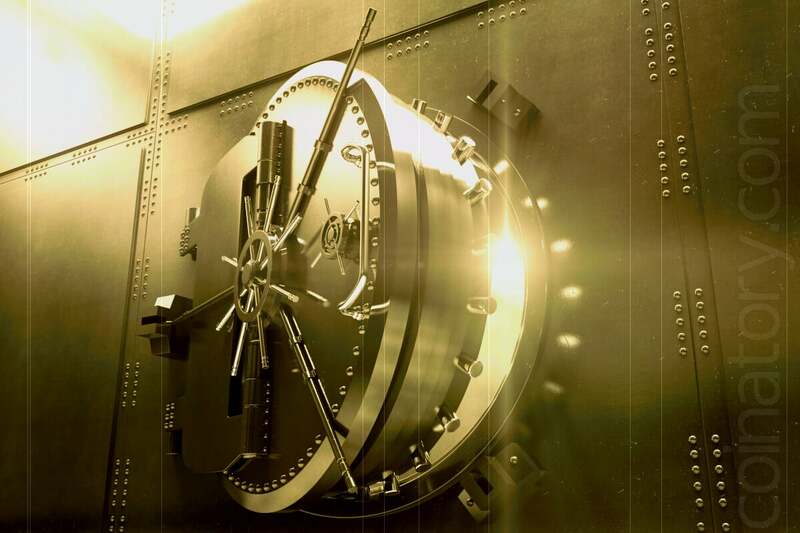 There are many other loopholes in the work of banks, however, it seems that the above schemes are enough to open your eyes to the reality of modern fraudulent banking, which operates throughout the world. If you are not from USA, it doesn’t mean that such a “good banking practice” has no influence on you as all currencies are US dollar-secured, except Euro, of course. But don’t expect Euro to be even slightly different from this system. Bitcoin is different. Its emission is fixed and regulated. Additionally, everything about Bitcoin is mathematically strict and its blockchain is transparent and unforgiving. Yes, you cannot cancel your transaction and it doesn’t give you any space for mistakes, but it doesn’t try to fool or rob you. Next time you hear the news that your government tries to regulate something that it hadn’t even created, please remember this article and think again, does it have the right to?